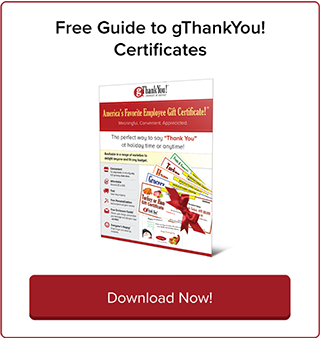 gThankYou Gift Certificates are Manufacturer Coupons that can be redeemed at virtually any grocery store in the United States. Recipients can choose any brand of merchandise, any preparation and shop when and where they want. 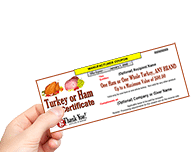 gThankYou Gift Certificates are for meaningful, practical gifts that everyone appreciates, such as a turkey or ham for the centerpiece of a holiday meal. We make it easy for you to buy and distribute Certificates. Recipients love the ability to choose what works best for their family. Browse our selection of Gift Certificates. 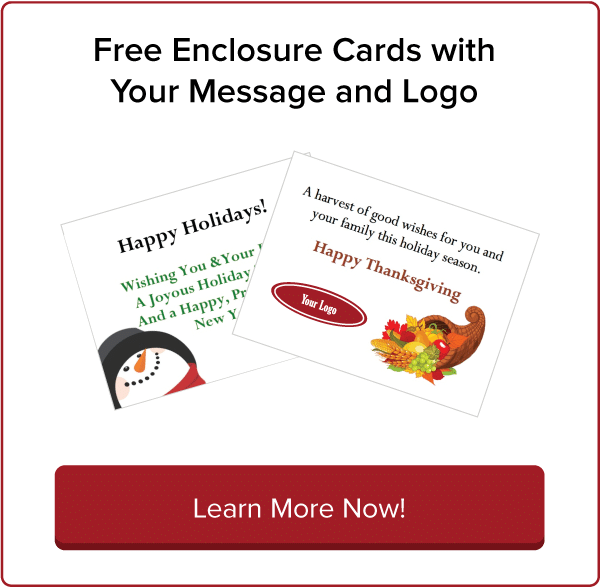 gThankYou offers free Enclosure Cards with all purchases. Choose any of our designs, personalize your message and add a company logo if you wish! We'll take care of the rest. Check out free resources to include with your gift such as Spanish language materials and downloadable cookbooks. Need inspiration to keep engagement strategies fresh? Committed to building a happier, more engaged and loyal workplace? You’ll want to check out our free resources for workplace leaders.